ROUSH CleanTech in Livonia today announced it is the first propane auto-gas fuel system manufacturer to receive the Environmental Protection Agency’s and California Air Resources Board’s heavy duty-onboard diagnostics certification for all its engines. 03.27.2018 — ROUSH CleanTech is the first propane autogas fuel system manufacturer to receive the Environmental Protection Agency’s and California Air Resources Board’s heavy duty-onboard diagnostics certification for all its engines. Until 2018 model year, alternative fuel vehicles had been exempt from this certification, but are now held to the same requirements as gasoline vehicles. A school district here is reporting success with the performance of propane school buses in frigid winter weather, according to a new case study from Blue Bird and Roush CleanTech. The California Air Resources Board and the U.S. Environmental Protection Agency certified ROUSH CleanTech’s propane autogas fuel system as complying with the heavy-duty onboard diagnostics (HD-OBD) regulation that has been in play for diesel and gasoline engines. The alternative fuels terrain can be tough to navigate. With the various fuel and technology options available for parking companies’ vehicles, how do you make the right choice for your company? Q. Why do you push alternative fuels? A. The total cost of ownership for our customers is so great! It’s a no-brainer when you can show the customer how much they’re going to save over the lifetime of the vehicle. When you show a potential customer the long-term savings, they can clearly see it’s the best option. Q. In addition to crunching the numbers, what other sales tactics do you use? A. In addition to TCO, we find that tours have been very valuable. I began bringing in customers last year, and have another group coming in next month. I like tours because after the initial visit, most customers are sold on propane. One customer had such a great reaction, they pretty much committed to buy propane during the trip. So, I thought if it’s that easy, I’m going to do more tours! Q. Do you have any other tips? A. I utilize the customer success and after-sale support we have with ROUSH CleanTech. Recently, David Fink, Derek Whaley and I visited a customer who was having some downtime issues. We met with them to discuss the issues and outlined our service program where they can perform their own maintenance work. And, Derek set them up with web-based training. 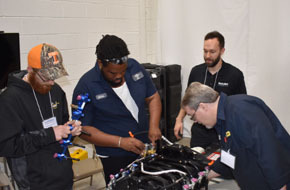 The hands-on approach and showing the customer the capability to diagnose their own problems is a big win, especially with the strong partnership between us and ROUSH. Q. How do you handle the issue of cost with districts? A. Many districts need help with the upfront costs, so I have connected with a few different lending partners who work specifically with school districts. They’ll help cover the incremental cost of going to propane so that the district can make the switch. This eliminates the “they’re too expensive” argument. 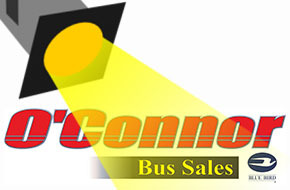 So, I’m able to help provide funding options for the districts to buy the buses through different channels. There haven’t been any new announcements around the VW Settlement since our last update, but there are states getting closer to finalizing their state plans. Each state is working diligently to determine how they are going to use their portion of the funds. However, before doing so, each state must publish a Beneficiary Mitigation Plan and make it publicly available for at least 30 days. Have you engaged with your state agency to create financial incentive opportunities for propane school buses? As a reminder, states can select which fuel and vehicle types they want to fund. Without active engagement, we run the risk of not having funding for buses fueled by propane. As a next step, we highly recommend contacting Chelsea Jenkins Chelsea.Jenkins@roush.com to discuss how best to approach your state agencies. 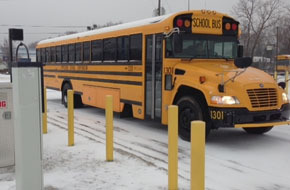 A new case study, entitled “Propane School Buses Perform Economically in Below Zero Temperatures,” shows potential customers the benefits of propane during cold-weather months. This study, co-branded by ROUSH CleanTech and Blue Bird, can be shared electronically or printed as a handout for meetings or conferences. You can download a copy of the case study here. If you have a school district interested in participating in a future propane case study like this, please email Ryan Zic at Ryan.Zic@roush.com with the district’s contact information. Learn about propane properties and shop safety. Tour the manufacturing facility to learn how the fuel system is made. Depressurize propane fuel systems and transfer fuel between tanks. Remove and install fuel system components. Learn how to use service information and diagnostic equipment. Fix bugged vehicles with the skills they have learned. To get a better idea of what you can expect, click here to check out a sample workshop agenda. If you have any questions about our Factory Technician Workshops, please contact Lance Suttle at lance.suttle@roush.com.